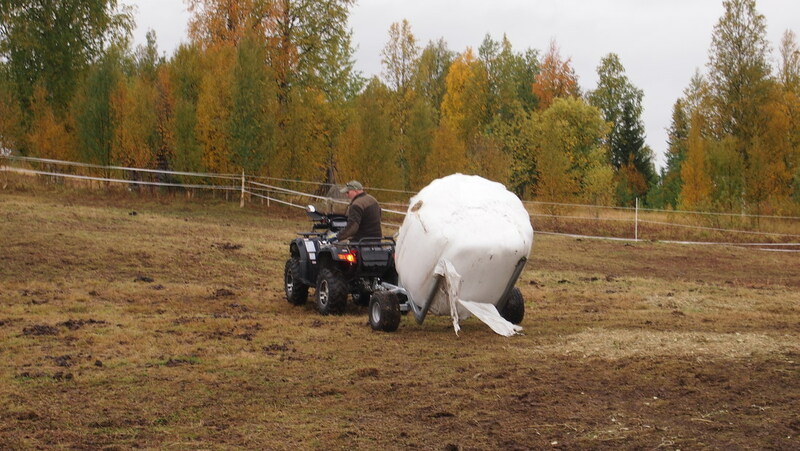 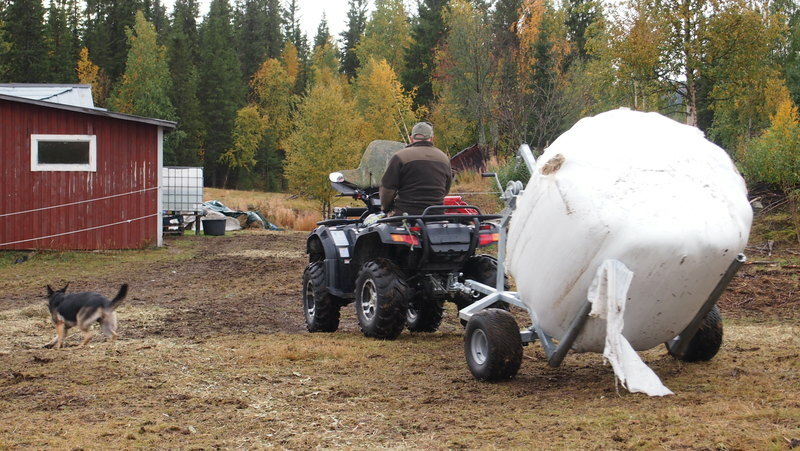 With our ATV Bale trailer, you can move large round bales of haylage, silage or straw with ease using an ATV, compact tractor, or 4x4. 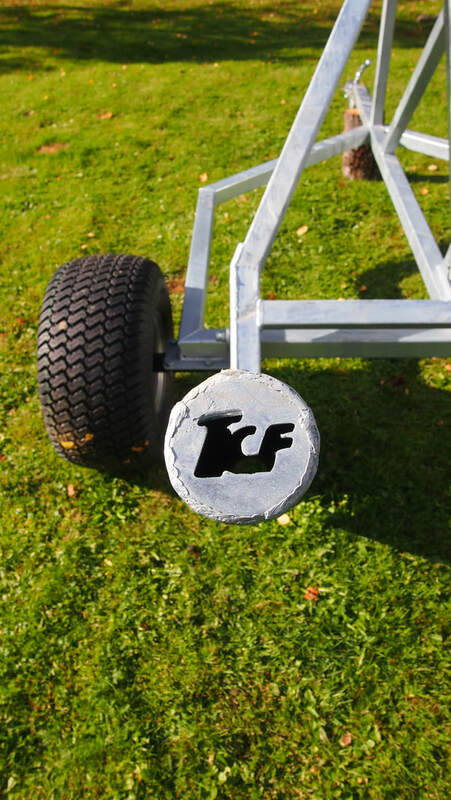 Our Bale Trailer uses wide flotation tyres which travel very lightly saving your pasture from ruts and damage. 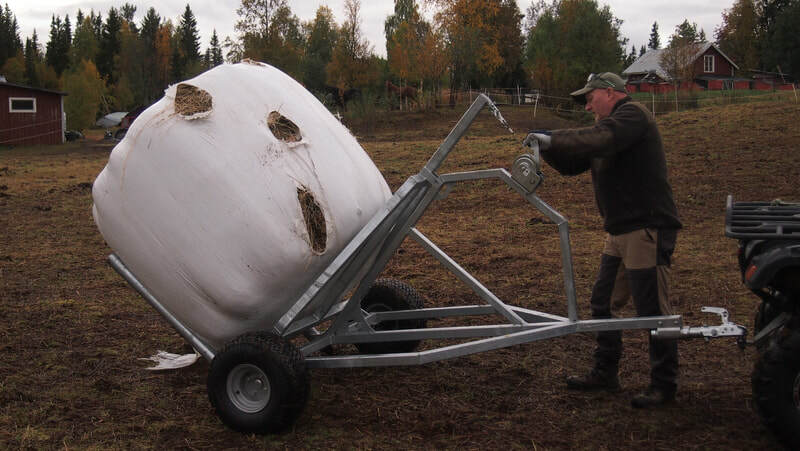 The Bale Trailer will take full size round bales up to a Max Weight of 500kgs. 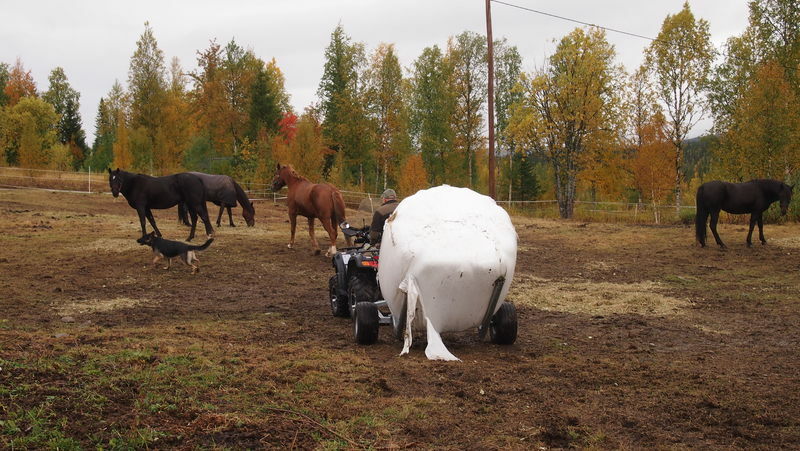 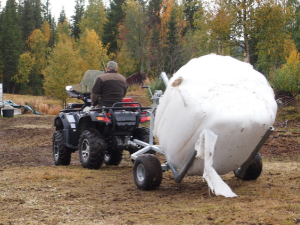 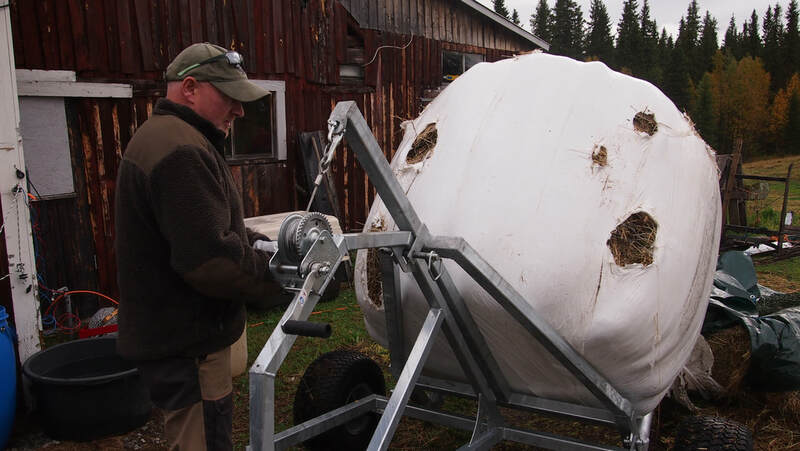 You can lift a wrapped bale without piercing the wrap avoiding damage to your precious haylage. 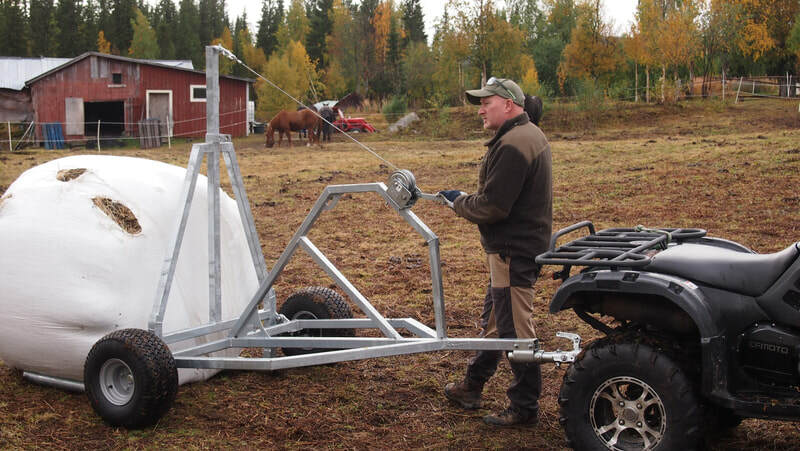 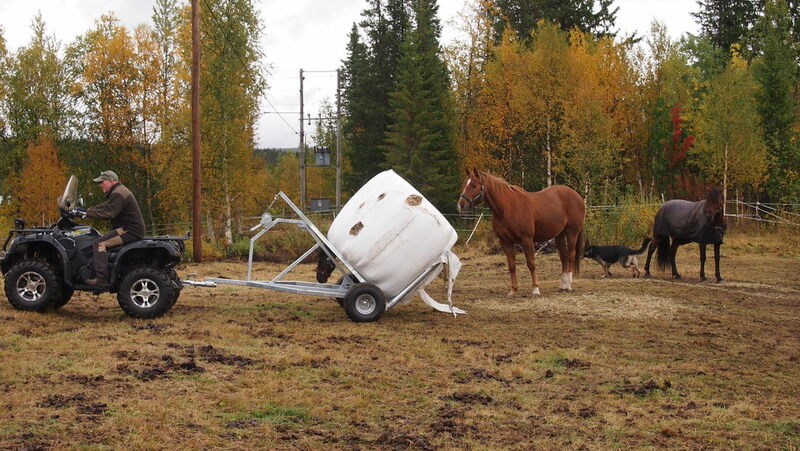 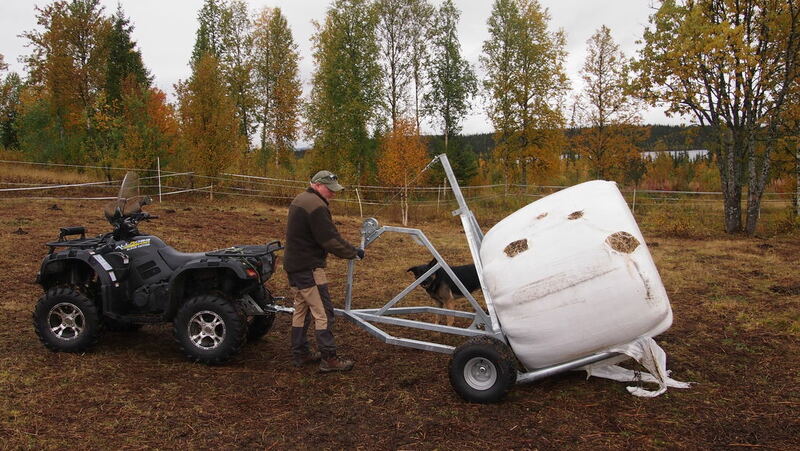 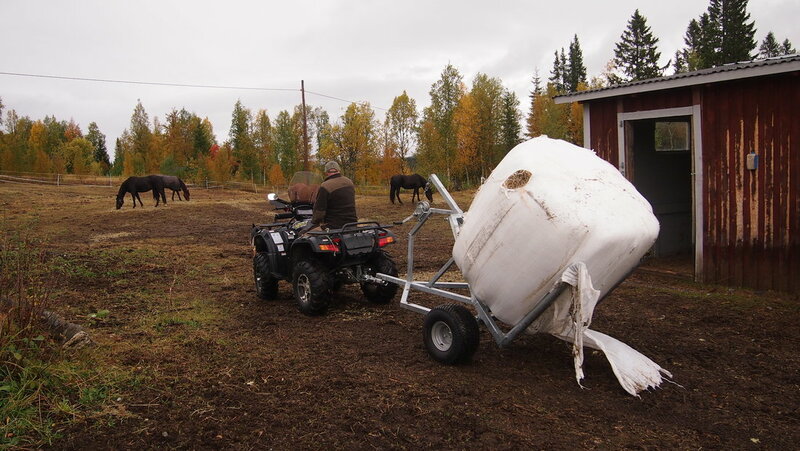 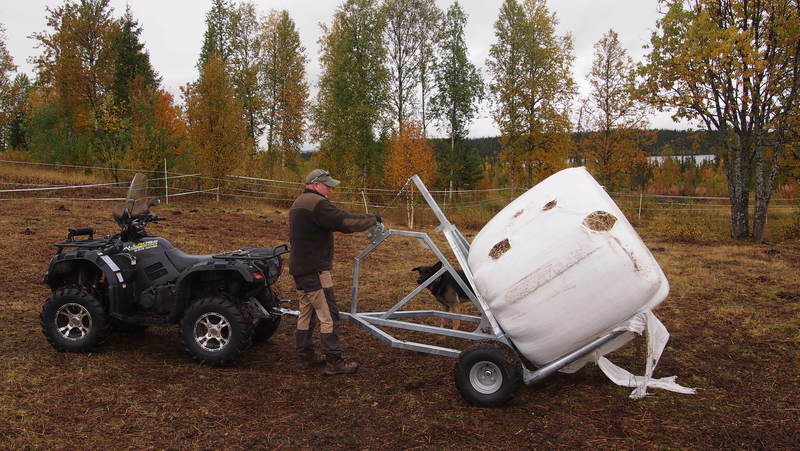 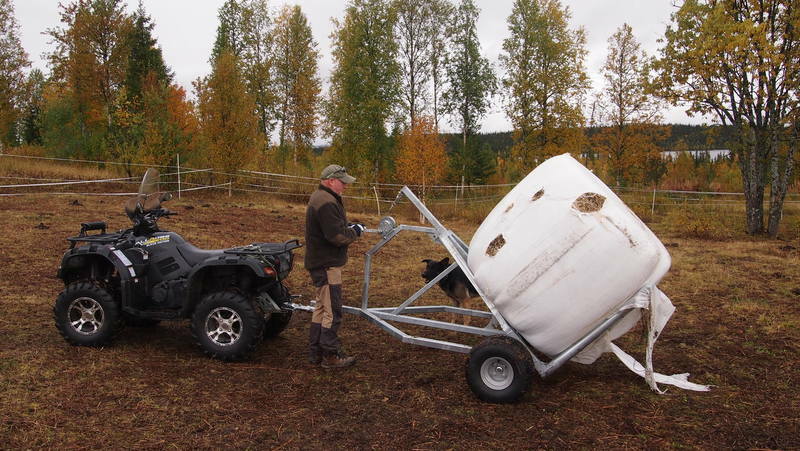 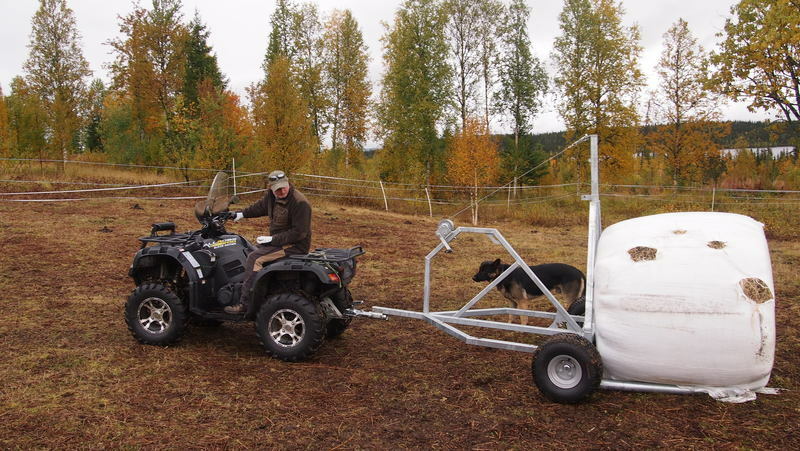 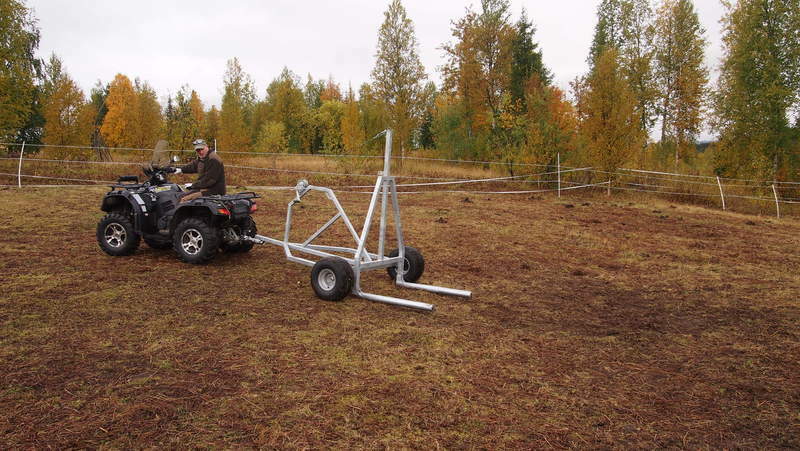 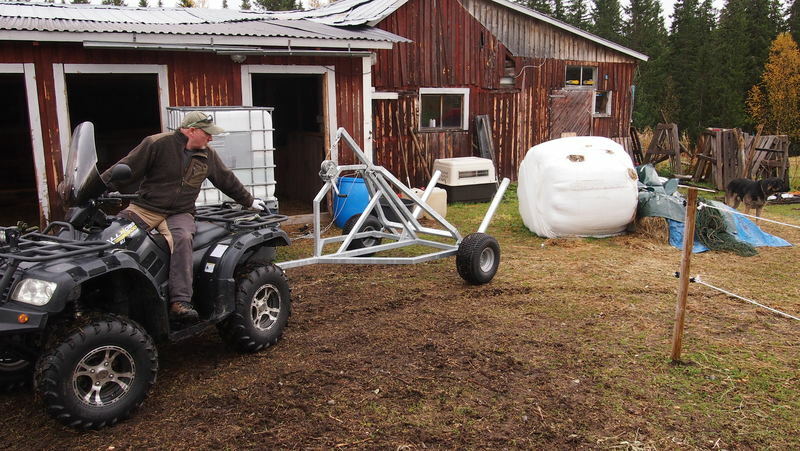 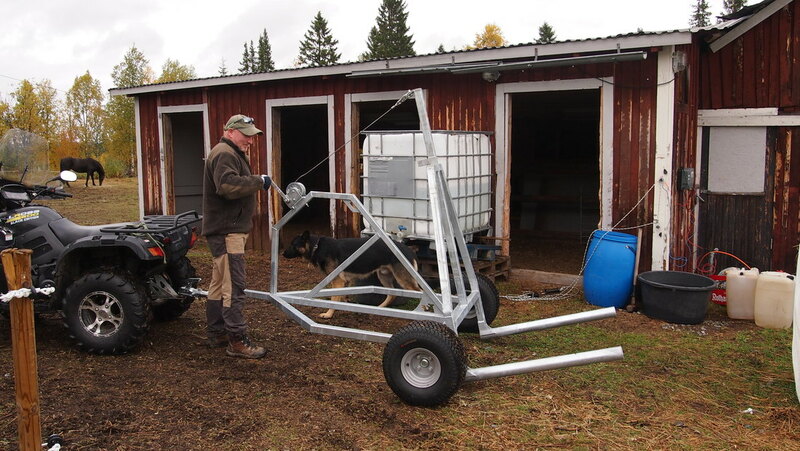 At just 1400mm wide and 2000mm long, the Bale trailer is manouverable and easy to get into those tight spots. 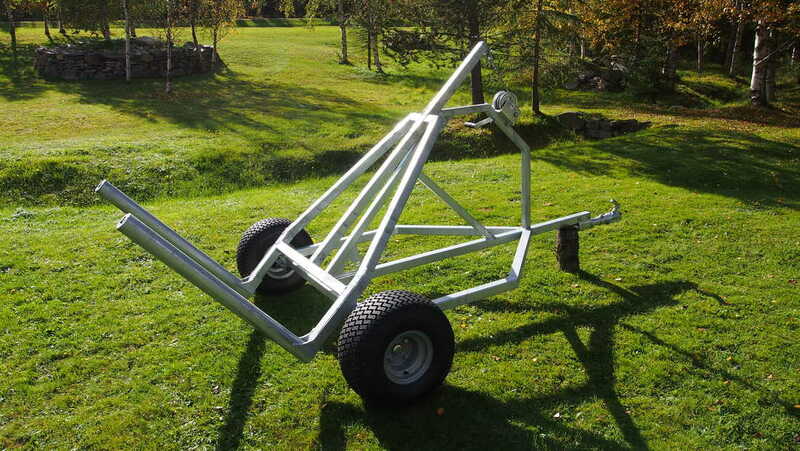 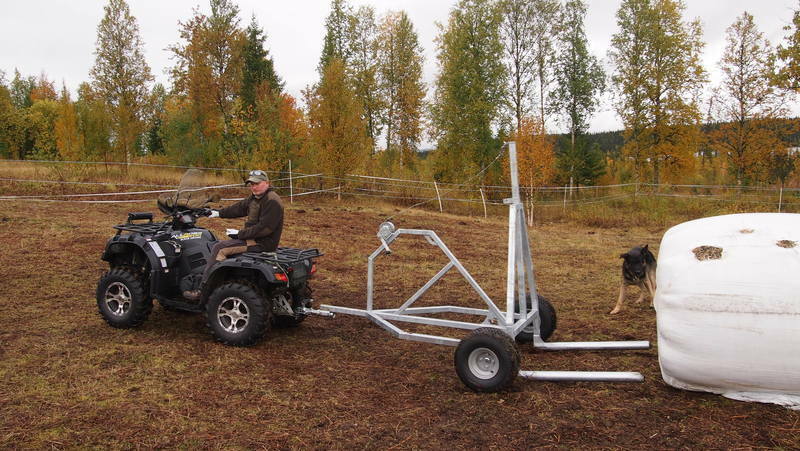 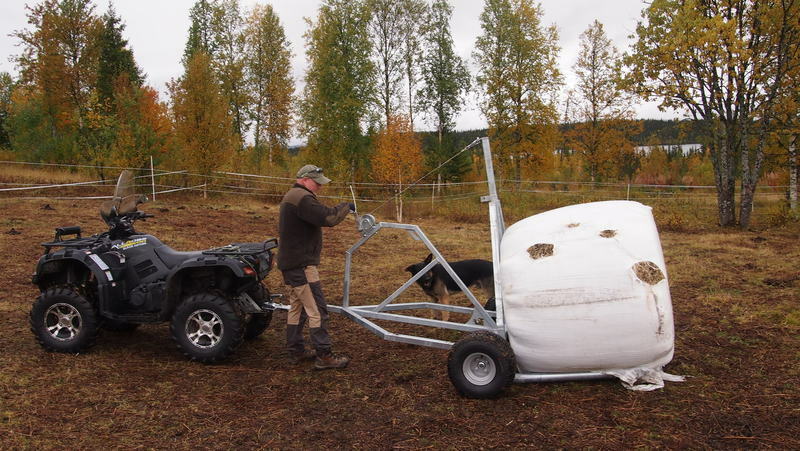 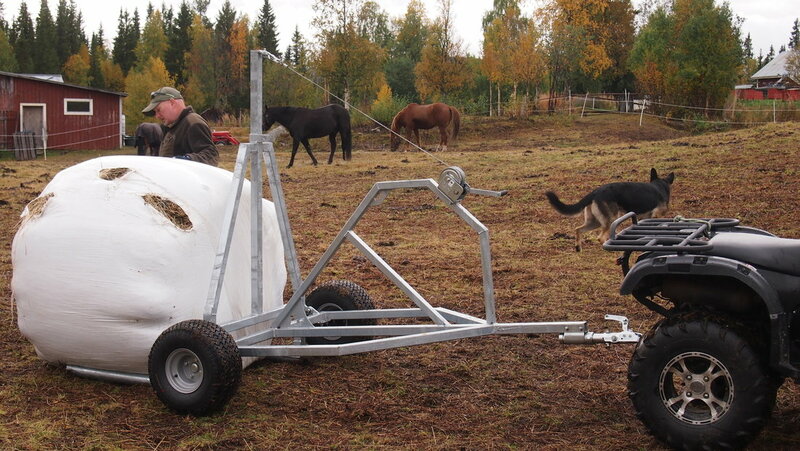 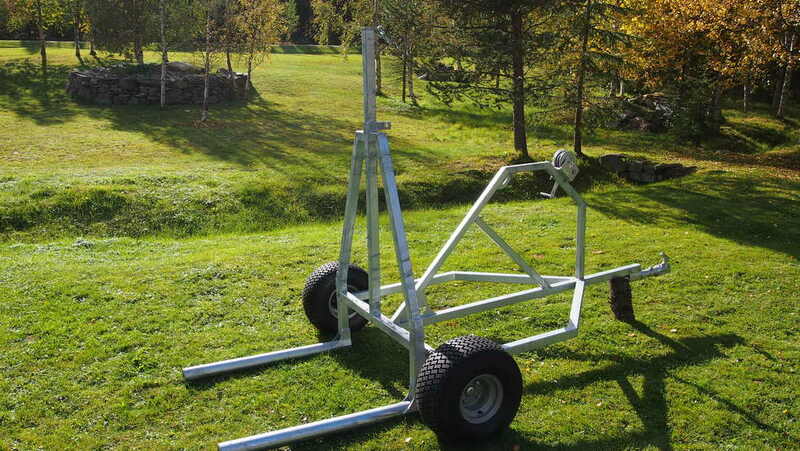 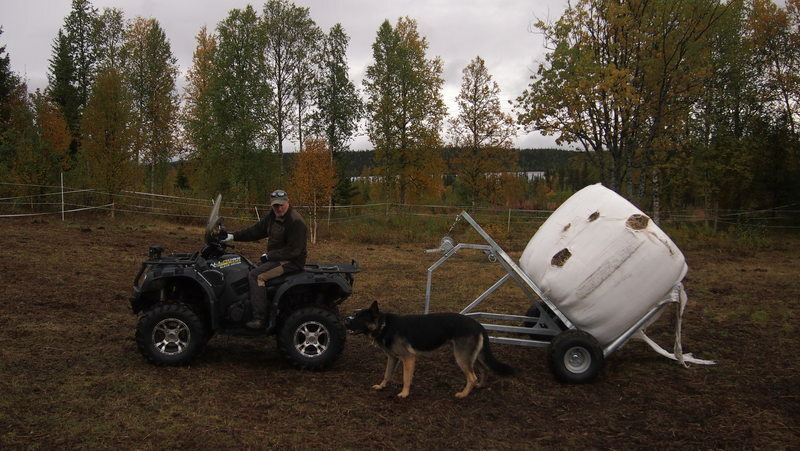 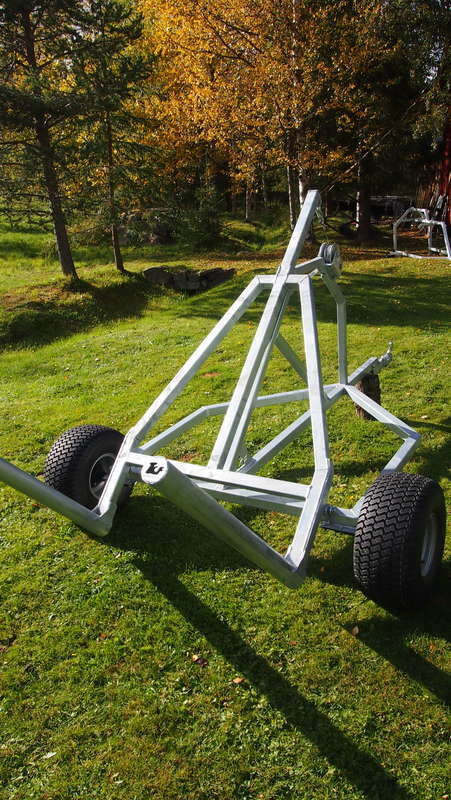 The trailer in the pictures has the optional swivel hitch and Kevlar tyres fitted. 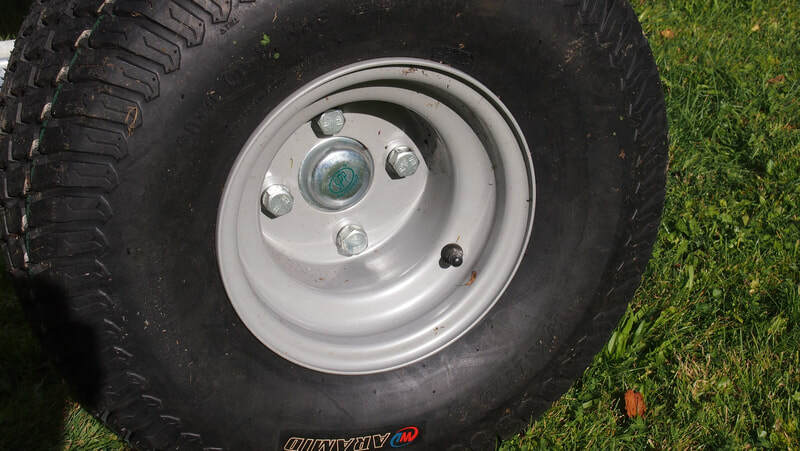 Standard trailer comes with pressed steel coupling and normal tyres. 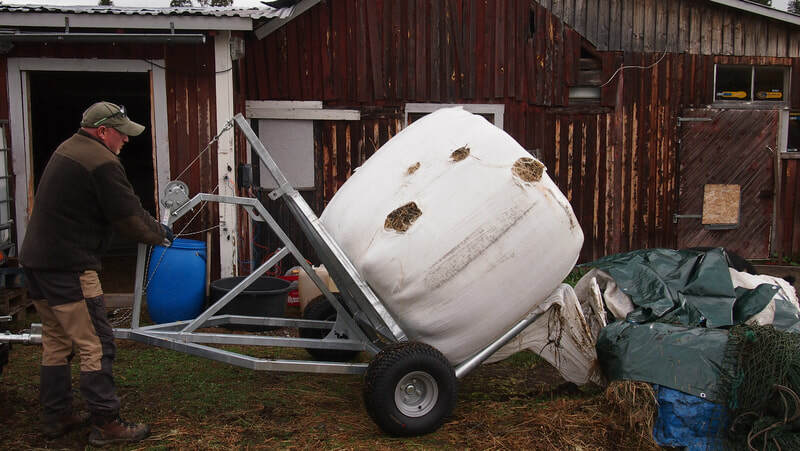 Once you have your bale loaded, it is vital that you do not unhitch the bale trailer from the towing vehicle. 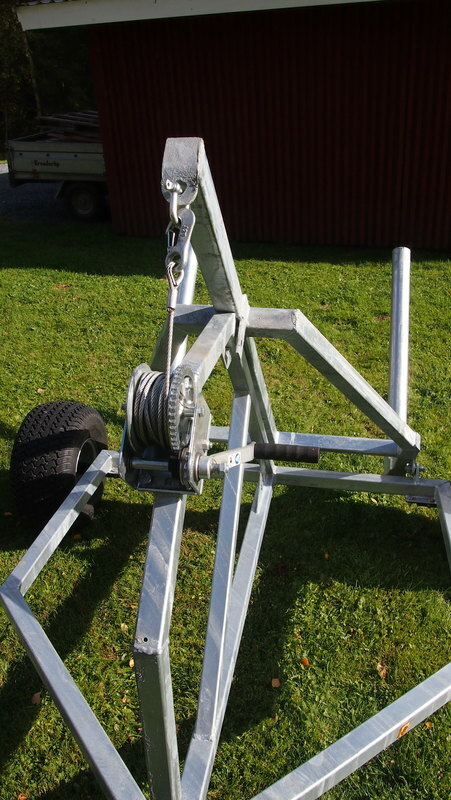 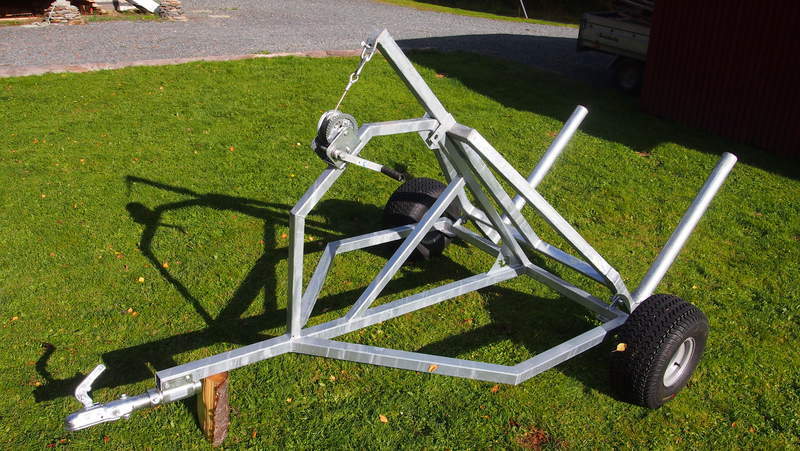 The trailer is tail heavy and the drawbar will come up if you unhitch it. You must lower the bale fully before unhitching. 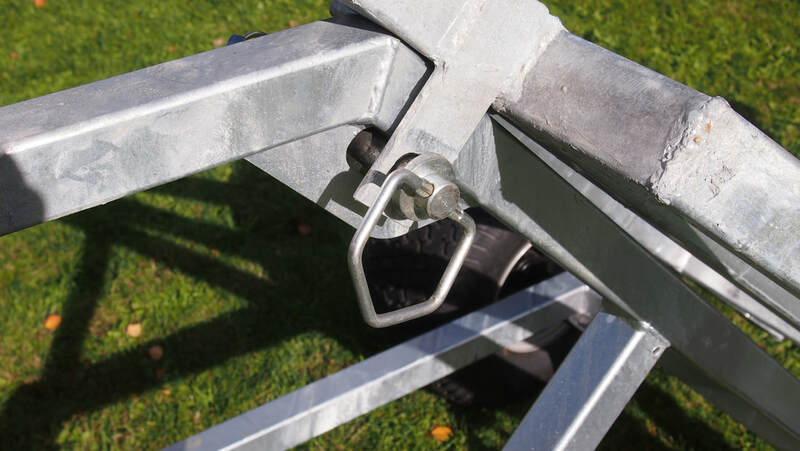 If you are in any doubt, please ask us before using. 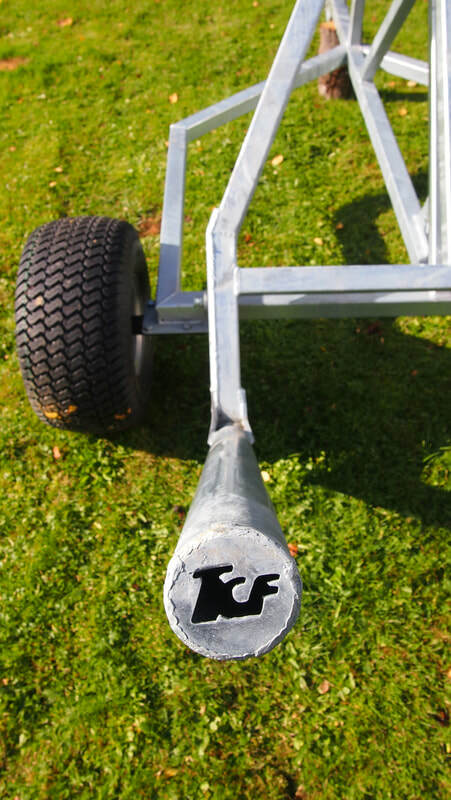 Just want to say a big Thankyou , for the bale trailer, it us so easy to use, a fantastic bit of design and Engineering. 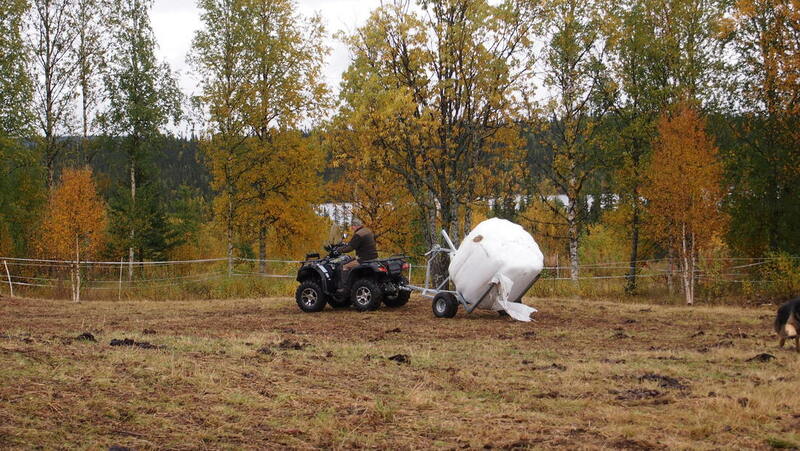 It makes life so much easier for us non tractor drivers!